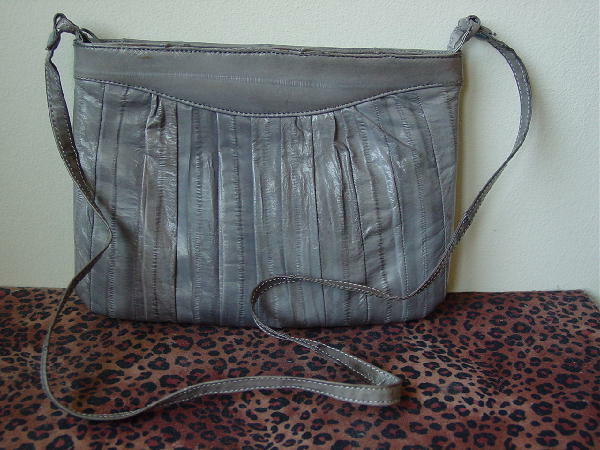 This vintage medium gray purse has vertical strips of eelskin. The vertical top eelskin strip curves downward in the center (front and back). Some of the strips overlap a little, giving them a pleated appearance. It's very light in weight. 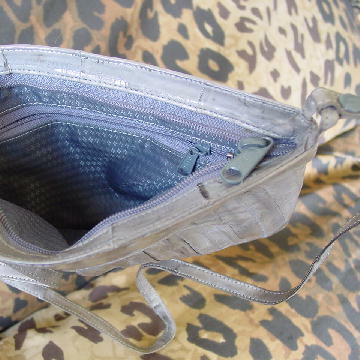 It has a thin color matching 33 1/2" long by 3/8" wide eelskin shoulder strap. There is a top side to side zipper. 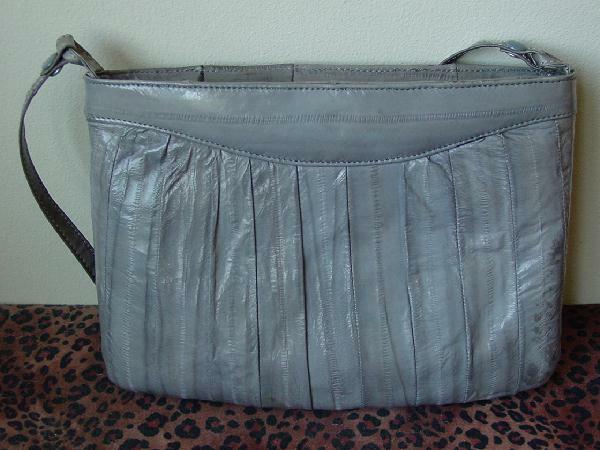 It has a gray patterned fabric lining with a side interior zipper pocket. The "spots" on the front are a natural part of the eelskin. She said she picked it up on a trip to the Orient years ago.